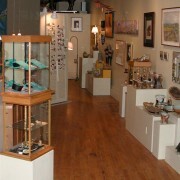 The May/June BAG show will feature painter and ceramic artist Klara Calitri of Cornwall, VT. 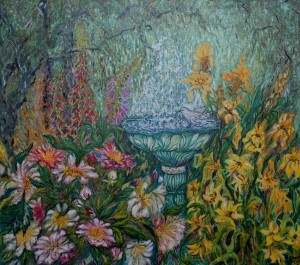 Both acrylic and oil paintings of flowers will be presented. Calitri calls one group of paintings the Amaryllis Clan, including the matriarch and her offspring — the bulblets. Arising out of Calitri’s recent experience with heart surgery, one of her new Georgia O’Keeffe-style paintings depicts a heart with flowers. In addition to the two-dimensional artwork, she will show ceramic (porcelain) pieces with flower imagery, which will be displayed on the decorative tables of Richard Haver. Klara, who came to the U.S. from Vienna in 1939, is especially known for her hand-painted ceramic bowls, platters, and architectural items (wall tiles, countertops, and fountains), as well as fanciful paintings of great imagination. During her membership at the Guild, she also exhibited monotypes. 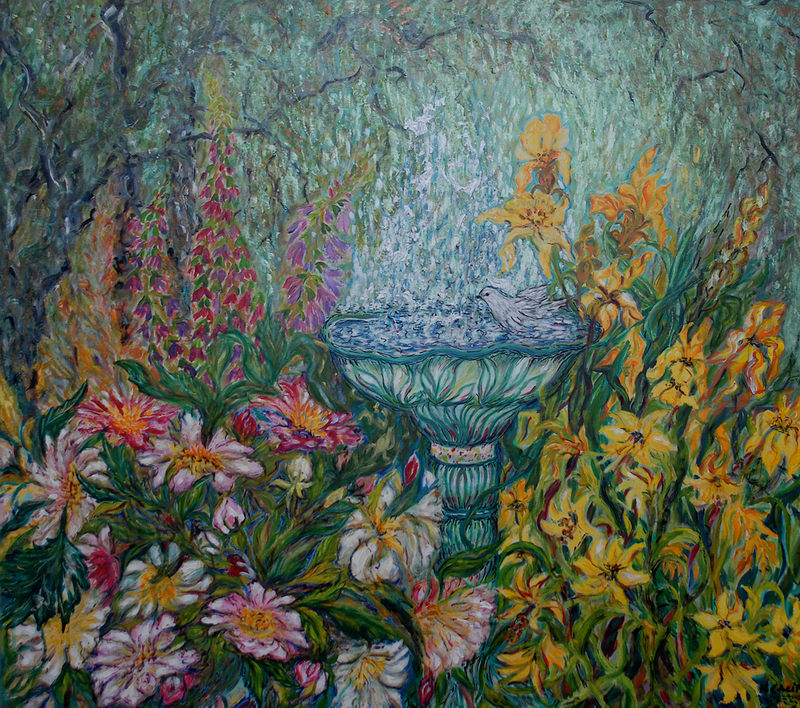 This will be her second featured show at the Brandon Artists Guild. An opening reception will be held Friday, May 4th from 5 to 7 PM. All are invited.